Reliable Dry & Steam Carpet Cleaning Company South Wimbledon SW19 | RDA Cleaning & Maintenance Ltd.
A carpet usually occupies a central place in every house or apartment. So whether it is your working or living space you need give your best efforts to maintain your carpets in a top condition. Hiring expert carpet cleaners is a good step to begin with. And if you want to save yourself some time and money, you better book our professional carpet cleaning service in South Wimbledon SW19. Here is our emergency number 020 3404 1646. As a reliable home or office carpet cleaning company in South Wimbledon SW19, we will react quickly and provide you the quality service you deserve. Every service that you will see in this list has its quality ensured by a team of professional carpet cleaners South Wimbledon SW19 with years of experience. Note that RDA Cleaning & Maintenance Ltd. uses only the best of machinery and detergents available on the market. 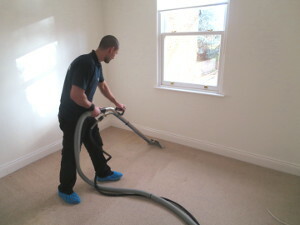 Expert Carpet Cleaners South Wimbledon SW19 - A Phone Call Away! Give us a call at 020 3404 1646 or use our online booking service. We can arrive at your place as soon as half an hour after you've called us and provide exquisite carpet cleaning South Wimbledon SW19 service. We do not require any deposit, nor there are any additional fees for weekends and bank holidays. Also, if you book two or more services you can have up to 20% discount!